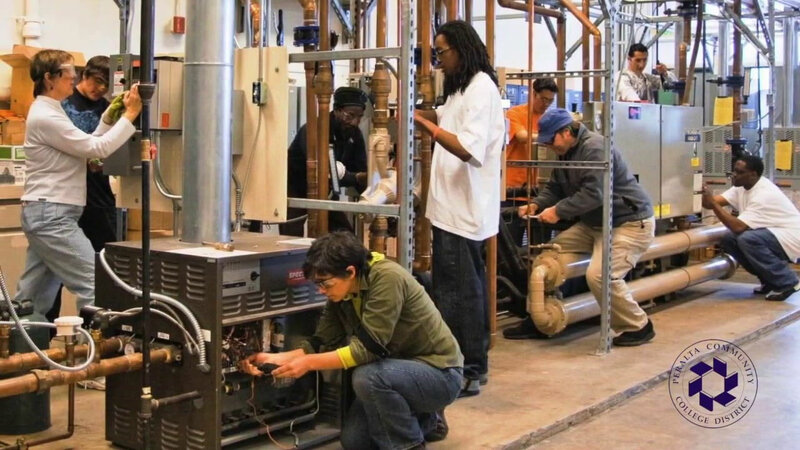 Environmental Control Technology is a technical program offering the theoretical, technical, and problem- solving skills essential for employment in the heating, ventilation, air conditioning, and refrigeration industry. 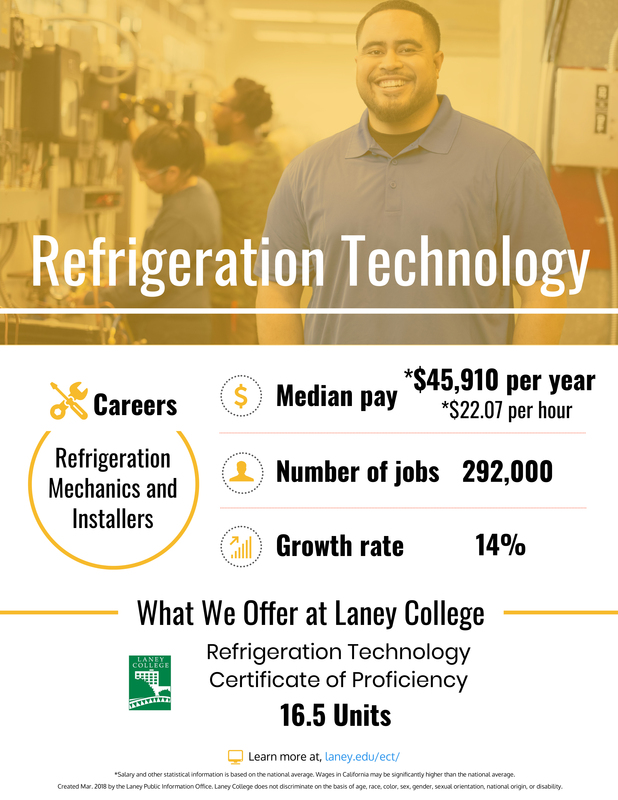 Students completing the suggested curriculum can seek employment as refrigeration technicians, heating, ventilation, air conditioning technicians, and building engineers and technicians. To check when classes start, click here. To enroll, click here. Whether you’re new to HVACR or an experienced technician, the Environmental Control Technology Department (ECT) can help you gain the insight and skills for successful building operations and maintenance. Today’s buildings often use advanced technologies to improve comfort, energy savings, and indoor environmental quality, and today’s technicians need to keep up. Our programs are taught by dedicated instructors with extensive residential and commercial experience. You’ll be exposed to real-world situations and learn hands-on with the latest technologies in one of the best equipped labs in the Bay Area. 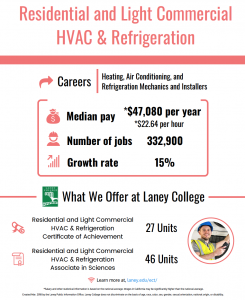 ECT graduates can develop excellent careers and earn above-average wages as service technicians, installers, salespersons, building engineers, controls technicians, and energy specialists. Many companies anticipate serious labor shortages in these occupations–which can’t be outsourced–so well-qualified individuals will find themselves in high demand. 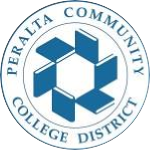 Learn about our Student Success stories here! Are you ready to improve your future and the buildings around us? Then come visit our classes, talk to our students and faculty, and see how Laney ECT can make a difference for you. The ECT Department is preparing technicians to become key agents in implementing energy conservation and sustainability measures for high-performance buildings. 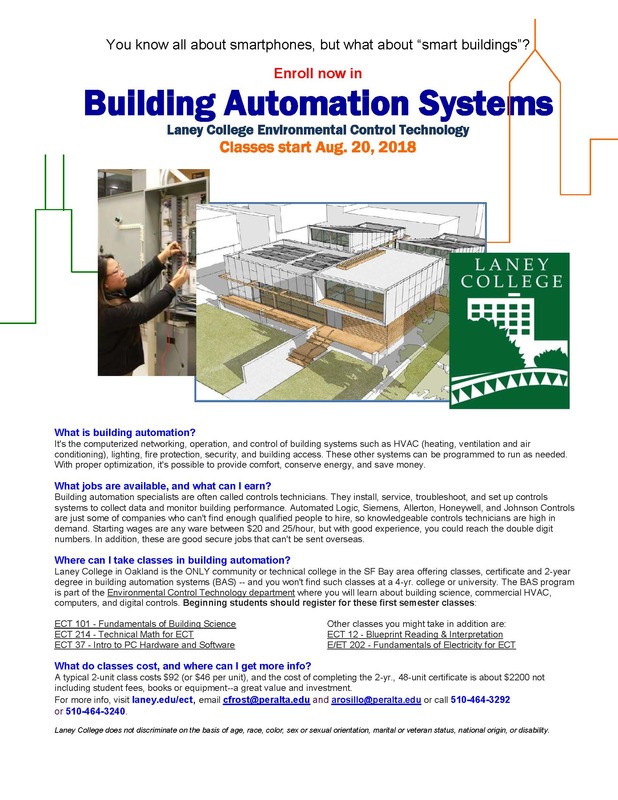 Thanks to a series of grants from the National Science Foundation (NSF), Laney is the only Bay Area college offering degrees in Commercial HVAC and Building Automation. 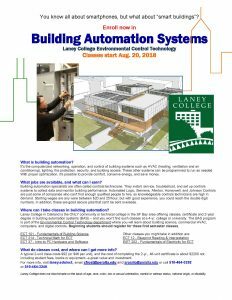 Now supported by an NSF Advanced Technological Education Center grant, Laney is also home to the Building Efficiency for a Sustainable Tomorrow (BEST) Center. 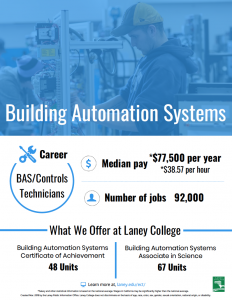 BEST assists faculty and community colleges nationwide in developing new career pathways and labs in building automation systems, energy management, and sustainability. For more info, visit www.BESTctr.org, which also has resources for students including a college directory and list of current job openings under the Student Resources tab.